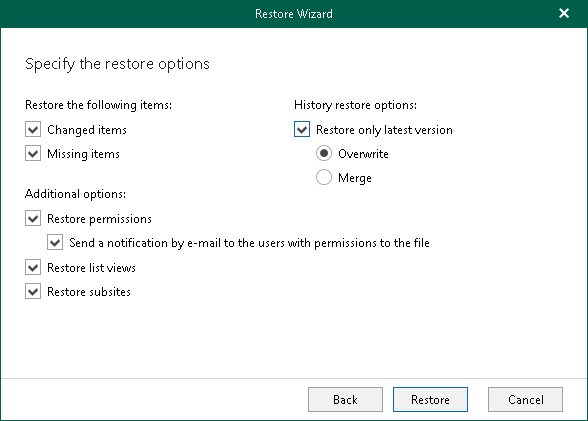 Restore permissions. Allows you to recover permissions. If not selected, permissions will be inherited from the parent site. Restore subsites. Allows you to recover subsites. If not selected, sites that are being restored, will contain only document libraries and lists.